"Stunning 1/2 Log sided Home"
This very well maintained year round home is situated on a spacious landscaped yard just minutes from downtown Clear Lake in the upscale subdivision known as South Bay. Built in 2000, this 3430 sqft home features 2.5 stories of quality from the open concept living space with a vaulted ceiling and fireplace, to the 6 large bedrooms and 3 ample baths. 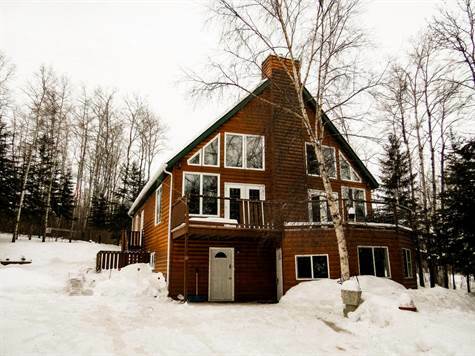 With 2 family rooms, this lovely property also boasts a dry/wet sauna and separate hot tub room. The landscaped yard, surrounded by mature trees for privacy, is equipped with a firepit area and relaxation/meditation space for everyone to enjoy. Call today to schedule a private tour.